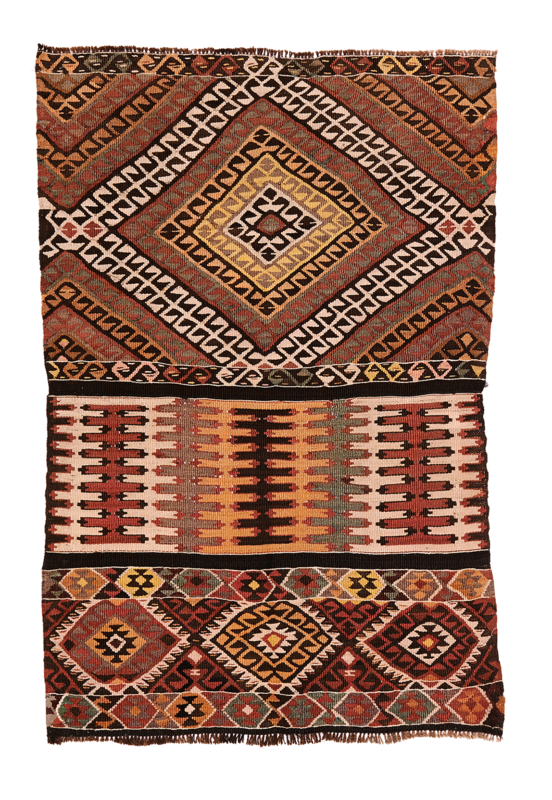 This bold kilim is probably a fragment of its much larger original size. Subtle colors and rich variations with traditional motifs abound. Small size. The piece is in perfect condition.